The 6 Types Of Subscription Business Models: Which One is Right for You? Are you confused about which subscription-based model you should use? Don’t worry. I get it. There are so many models to choose from; it’s hard to know what will fit your business and ensure you have a product your customers want to buy. You just want the brown stuff in a cup that tastes good and is proven to wake you up. 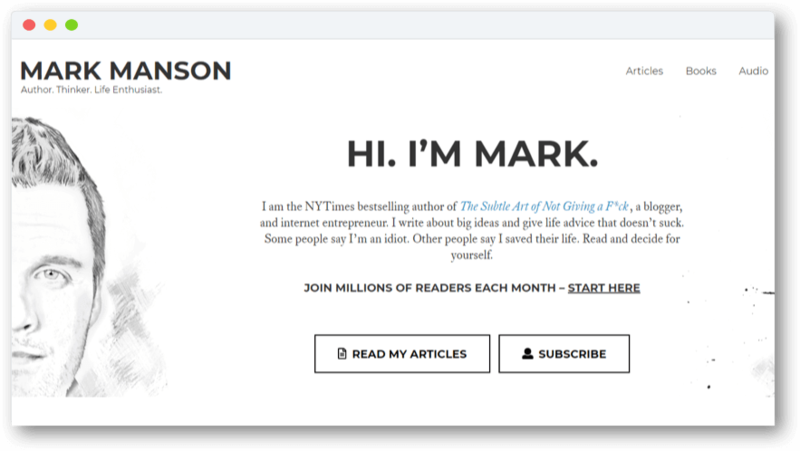 In this article, I’m going to help you remove the jargon and buzzwords, and help you get a clear picture of which subscription-based business model is right for your business. You know…the stuff that works. 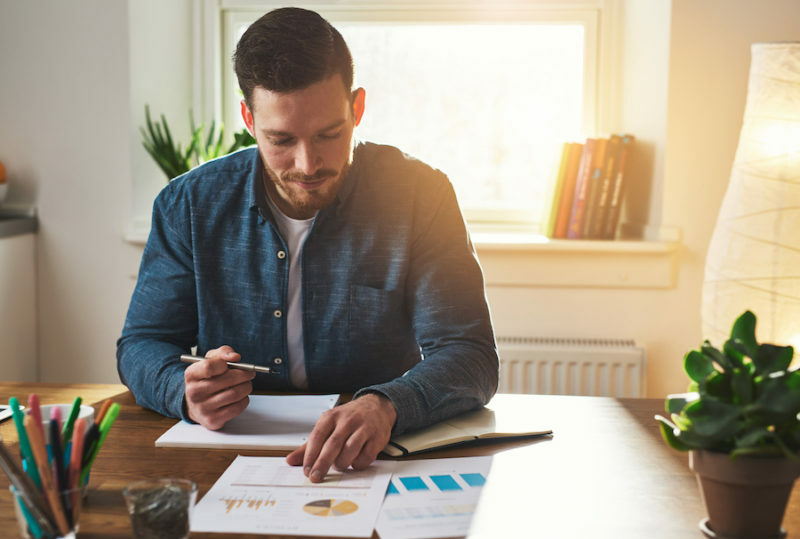 Take a read through this guide and pick the business model you think best suits your needs, so can get right to work on it. Sound good? The Burning Question: Is A Subscription Business Model For You? Let’s quickly take a look at each of these types of business so you can see if your business fits. If you create content that educates, engages, informs or entertains your audience, your subscription business will focus on access. You’ll have a standalone platform or member’s area where paying customers can access your premium content. As you’ll see later in this article, this could come in the form of courses, articles, episodes or workshops. Take Naturally Sassy, for example. She provides a lot of free fitness advice on Instagram, YouTube, and her blog, where she’s built a large and dedicated following. For $10 a month her customers can get their hands on content and advice they won’t find through any of her free channels. These lessons are constantly updated and the library of lessons expands each month, so her customers get more value for their money. Sassy, in return, has a consistent, reliable and scalable income from the audience members who want to support her work. The income this generates enables Sassy to create more free content and provide consistent value to her overall audience. So, this arrangement benefits everyone. If you create content that promises to transform your customers in some way, you could build a business like Sassy’s too. Subscription models present an opportunity to monetize your most valuable content, to ensure only the people who most want it (and will get better results from it) see it. If you’re a creator who deals in physical products, subscription models help you to turn your product into a service. A great example of this is Cornerstone, a shaving company from the UK. I’m one of those people who can’t grow a beard. The little bit of fuzz I can generate makes me look like a cut-out from an anthropology textbook. So, shaving is kind of important to me. Despite how much I value not leaving the house looking like Darwin’s missing link, I’m forgetful, and I run out of razors on a regular basis. Or, I did, until I signed up to Cornerstone. 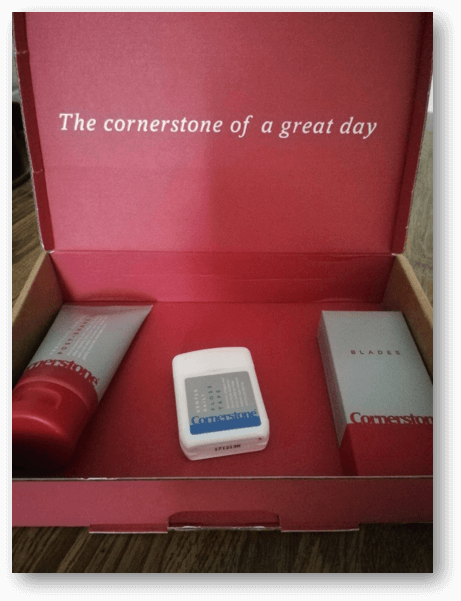 They send me razors and gels and creams each month directly to my door. It’s a “set it and forget it” kind of deal, which makes my life much easier. This product-as-a-service model is a great way to stop your business from becoming commoditized. If you can provide a great service, with good branding, you’re no longer in a price battle or race to the bottom. As the great marketer Seth Godin would put it, you’ve created a purple cow. But this type of model doesn’t just work for life’s essential items, either. I’ve seen it work for socks and books and weight loss products and nerdy memorabilia. If your service can solve a consistent problem, or provide a new kind of value periodically, then a subscription-based business model can work well for you, too. If you create a product where you can offer new value periodically, solve a consistent problem, or can restock what the customer has already used, then subscription can work well for you too. Okay, if you’re feeling confident a subscription business model is the right option for you, let’s get into the specific models and how they work. Are you an industry expert with lessons to teach, or knowledge to share? Then this membership-based business model is for you. 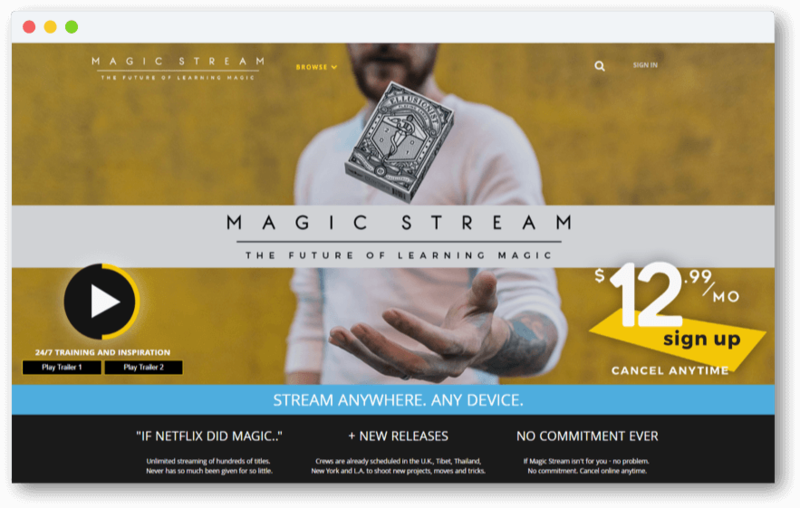 For $12.99 a month, budding and experienced magicians can join their online community. The beauty of the membership website business model is that users can interact as much, or as little, as they want to. Unlike an online course, you can learn as you go, and choose from a wide variety of topics. Or, you can just hang around for the discussions. 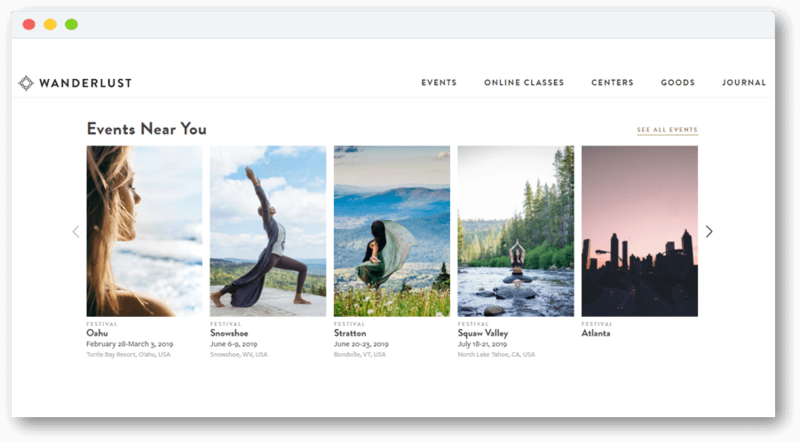 In our experience, the most successful memberships websites are focused on one umbrella theme – magic, weight loss, yoga, coding, Djing, etc. – and then break down their content into bite-sized strategies (or tutorials) to tackle a wide range of problems. To help offer even more value to the members who take part. 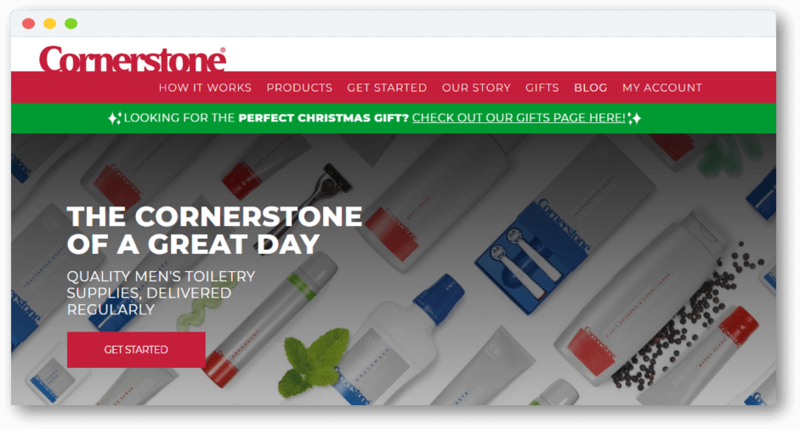 Subscription boxes deliver your product – or great idea – directly to your customer’s front door. Boxes offer great earning potential as well as a lot of creativity and customization options, depending on the style you choose. Although the initial hype around subscription boxes has worn off, there’s still a growing market for niche services that serve a smaller audience. …if you’re looking a bit blankly at the screen like, “What’s a subscription box?”, let me give you a quick explanation. Customers sign up to periodically receive a box around a topic, theme or problem they’re interested in. The box is delivered containing items that relate to that topic. Mixed boxes are a great place to start your subscription service, because they offer you a range of flexibility around your one or two core products. 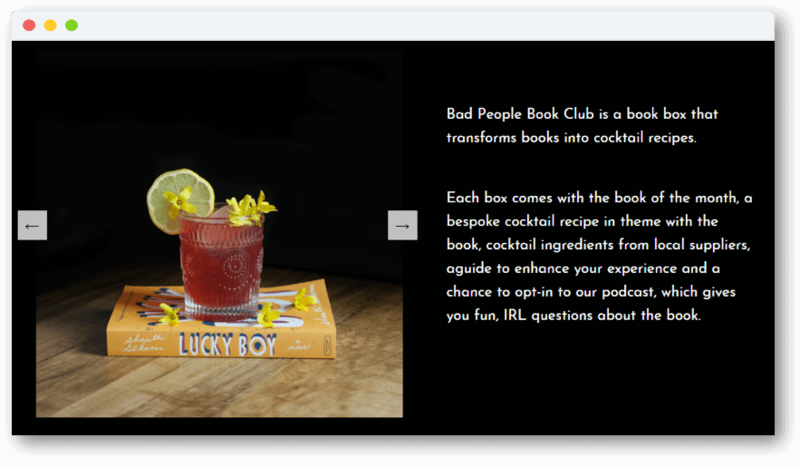 Their customers subscribe to receive a book, a cocktail recipe, a unique podcast episode and a set of questions each month. However, the box creators get to choose the book and the recipe. This type of business can also work if your business is primarily information-based. If you’re a coach or course creator, you could create boxes with physical tools that can help. These ideas are mostly spitballing, but you can see the opportunities this business model has if you get creative with it. For more information on how to bring this to life. 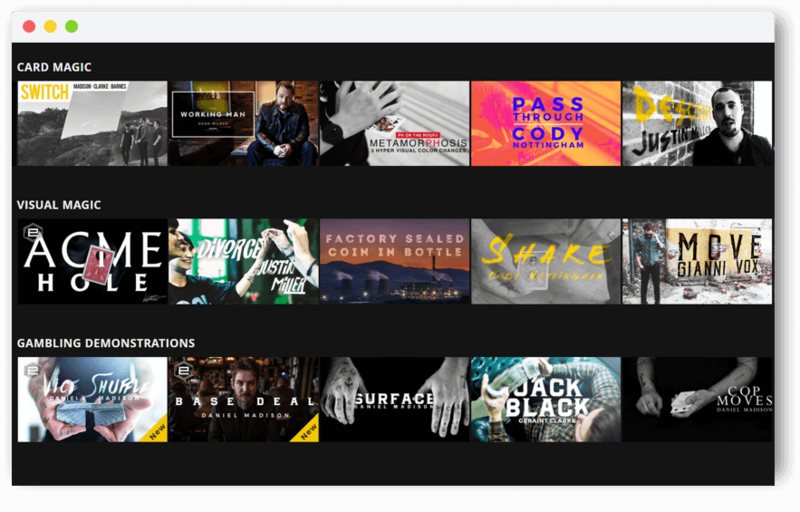 The Netflix model is a super effective style of subscription business for video creators. It allows you to create content and have your audience stream it anytime, anywhere, with your online channel. Basically, you become the Netflix of your industry, and provide on-demand video content to your paying subscribers. But it can also work for any other type of industry. As long as you’ve got a video camera, and your content is high quality, you have the opportunity to build a highly profitable business. In fact, the average Uscreen user who follows the Netflix business model earns $3,800 per month. KweliTV is one of my favorite examples of this business model. 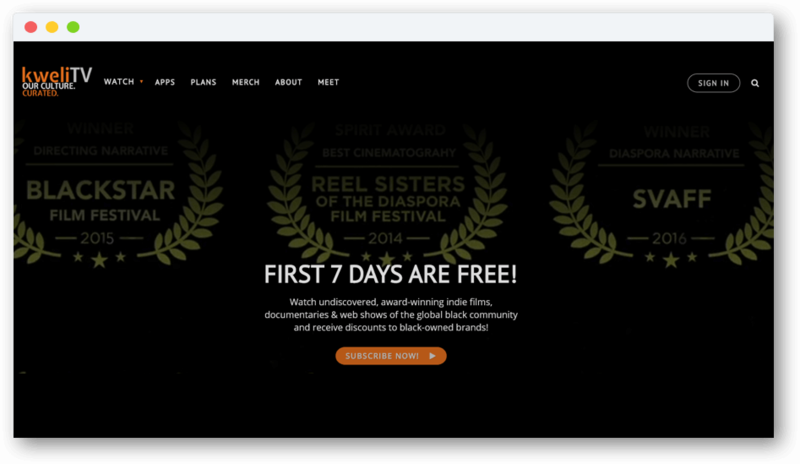 They create and share independent movies and TV shows from the international black community. When subscribers purchase access to their streaming platform, they can watch any of Kweli’s entire library of content, on any device they want. And, every Wednesday, they’re treated to something new. They’re also able to reach a large audience by using OTT video streaming apps to make their platform more accessible. Customers can download the Kweli app to their favorite device – like an Amazon Fire Stick, iPad or Smart TV – and start streaming. One of the great things about this business model is that it easily molds to fit any type of video content, too. 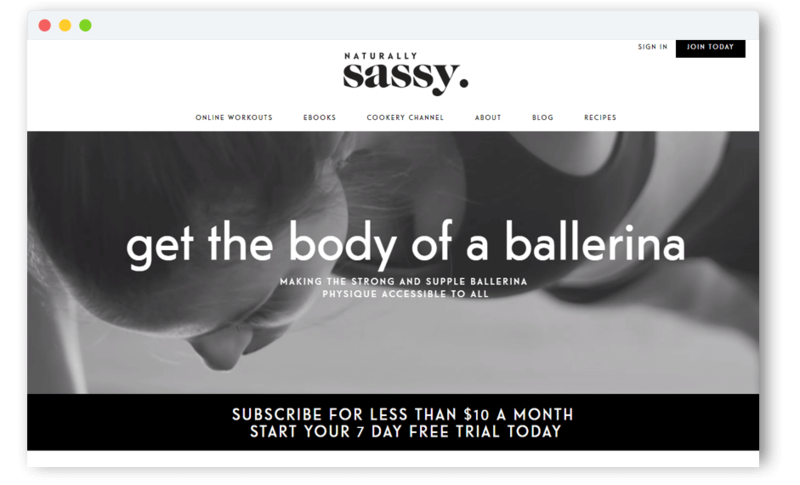 You’ve already seen Naturally Sassy and Magic Stream in this article, who also use elements of this business model to run their business; they provide streamable videos on any device through apps or a web browser too. If you want to learn more about this business model and get into who you can set it up yourself, I recommend you take a look at our free guide on how to start a Netflix business. Masterminds allow you to create a product for the people in your community most committed to change. If your business offers transformation, be it: financial, business, health, weight, relationships or any other pain-point in their lives, then a mastermind is another membership-based subscription model to keep in mind. Masterminds are attractive to people in your community who are stuck. They want to change where they are now, and they want extra guidance and support to help them do. A really powerful example of this comes from One Year No Beer, a company committed to helping people change their relationship with alcohol. 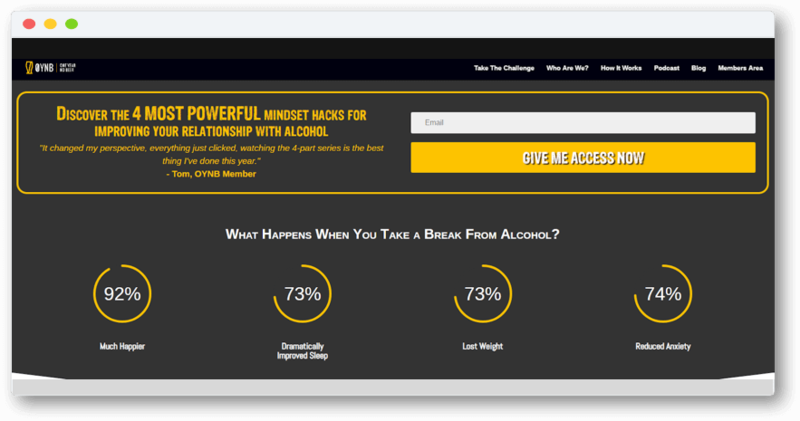 They run “challenges” of varying lengths to help people take a break from alcohol for their most achievable length of time. Customers can sign up for 28, 90 or 365 days, from prices starting at around $30 per month. This is all done online, so there is no in-person interaction, but coaches and support are only ever an email or Facebook post away. This style of business is simple to set up, especially if you’re a content creator, and can take on lots of different forms. You’re giving people access to your inner circle which they wouldn’t otherwise be able to have, and the extra support they need. Does your business only have limited, or seasonal, contact with your customer base? Then, this model could keep them engaged (and subscribing) all year round. Although they have a lot of people who attend their events, they wanted a way to stay connected with their fans between festivals, as well as give people who can’t attend their live events a way to participate. This subscription business model works similarly to some of the others you’ve seen in this list. However, it doesn’t work as their “core” business engine. 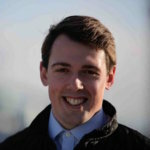 Wanderlust TV is an income stream for their business, but it works as a gateway to their main business offering – events. New customers can try their services and get a feel for Wanderlust through their streaming service and apps, before going all-in on a ticket for an event. Existing customers, meanwhile, are kept engaging with the brand between events and reminded of how much they enjoyed themselves. You can sell access to this subscription at a low cost, but provide lots of value, which will result in sales of the physical products or services you really care about. There’s a lot to be said for running your business for free. Whether you’re a content creator, or software provider, giving people access for free is a labor of love and an excellent way to attract people to your service or advice. However, as many of the world’s leading newspapers have recently realized, you eventually need to find a way to generate income. Especially if advertising or promoting affiliate products isn’t proving to be effective. This has led to a surge in people offering what I like to call the “subscribers only” model. Basically, you offer the majority of your content for free in the way you’ve always done it. But, you keep your best work behind a paywall for your loyal paying subscribers. Someone who has pioneered this model is the blogger and author, Mark Manson. 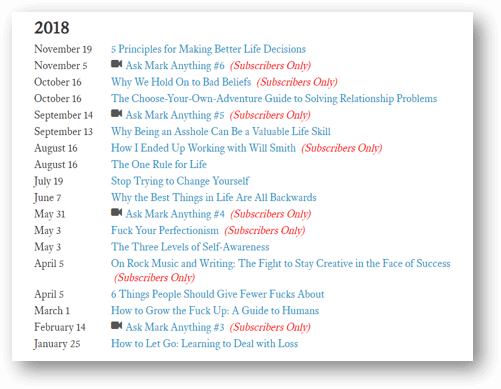 Subscribers also get some other benefits too, like downloadable audio versions of the posts, access to courses he no longer offers publicly, and some ask me anything videos. If you offer content and you’ve built enough of an audience that you think you’re ready to monetize, this is a brilliant way to do it without feeling like you’re creating a product just for the sake of the money. If you’re an artist or creator and people take enjoyment from your work, you shouldn’t feel bad about asking for a little something in return. Subscribers-only content works well to generate income, as well as treating your most loyal fans to the content they deserve. I hope by now you’ve got a much clearer idea of what subscription-based business model you should be using. If you can provide access to content or a repeatable service, it can help bring a consistent, scalable income your business can depend on. If you’d like to learn more about how you can grow your business – especially if video plays a role in your content – I’d love to invite you to check out our free video business school. There you’ll find lots of free lessons and insights on how to start a subscription-based business, with insights we’ve learned from watching hundreds of businesses grow! You can access it for free right here. Thanks to our 1M+ subscribers, we look at the most important OTT content trends of 2018 and tell you how to use this data to to make more money in 2019.